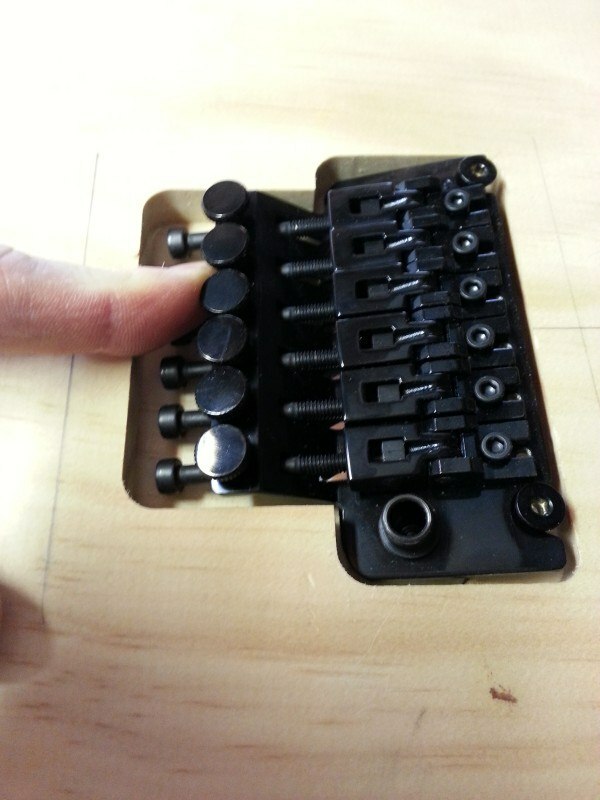 Performing the routing of a complex cutout in a guitar body, such as that required for a recessed Floyd Rose Original bridge, can be made much simpler and accurate using a number of interlocking templates fitted to a master baseplate. It is difficult to construct an electric guitar without reaching for the router. 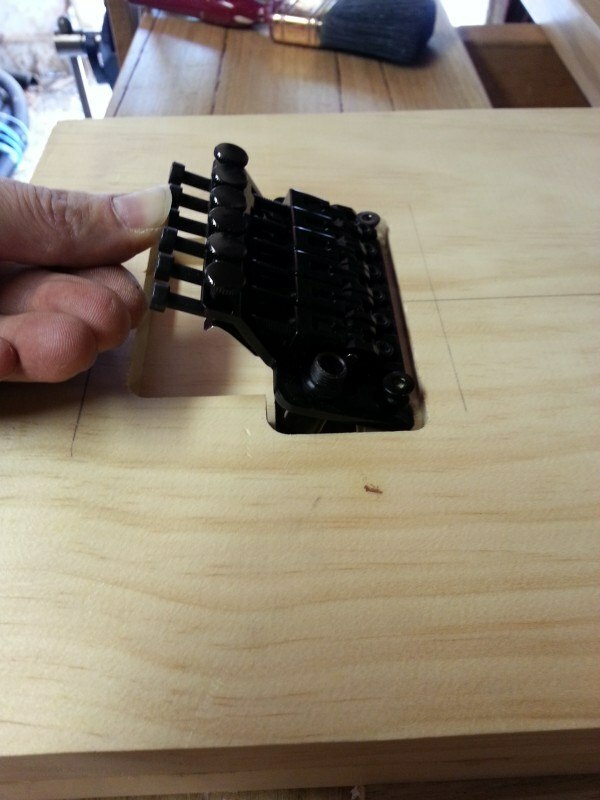 Control and pickup cavities, neck pockets and tremolo recesses are all operations that require the use of this versatile tool, and all of these examples are made much easier and safer by the use of a template and an inverted pattern bit to guide the router around the intended cut. 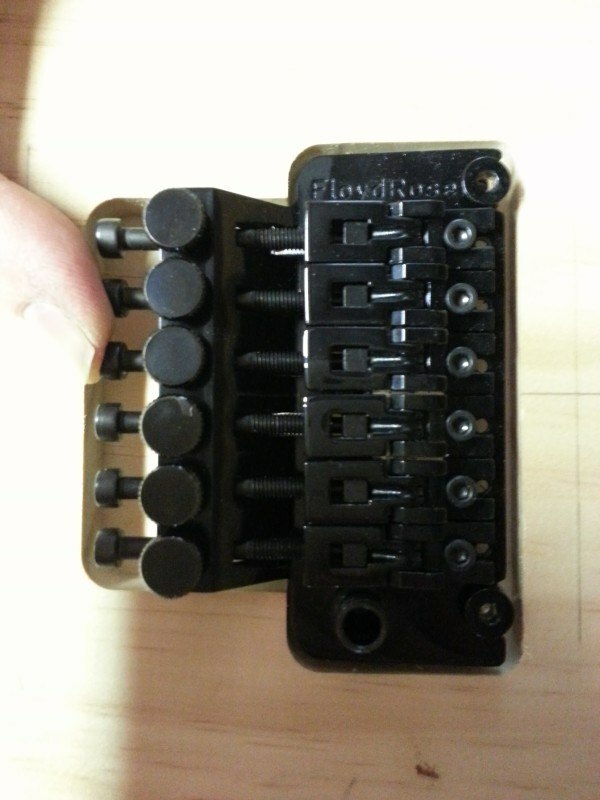 One routing pattern that can be difficult to execute accurately is for a Floyd Rose Original tremolo, particularly the recessed version whereby the arm can be raised or lowered above and below its equilibrium point. The following article describes a system that lends itself well to performing this difficult routing operation by the use of a master indexing plate on to which a number of different templates can be attached to create the complex routing pattern. The system can be adapted for other patterns as well such as pickup cavities or other tremolo systems. Referring to the PDF plans attached to the bottom of this post, the Floyd Rose routing templates are based around a master indexing plate (Sheet 1). 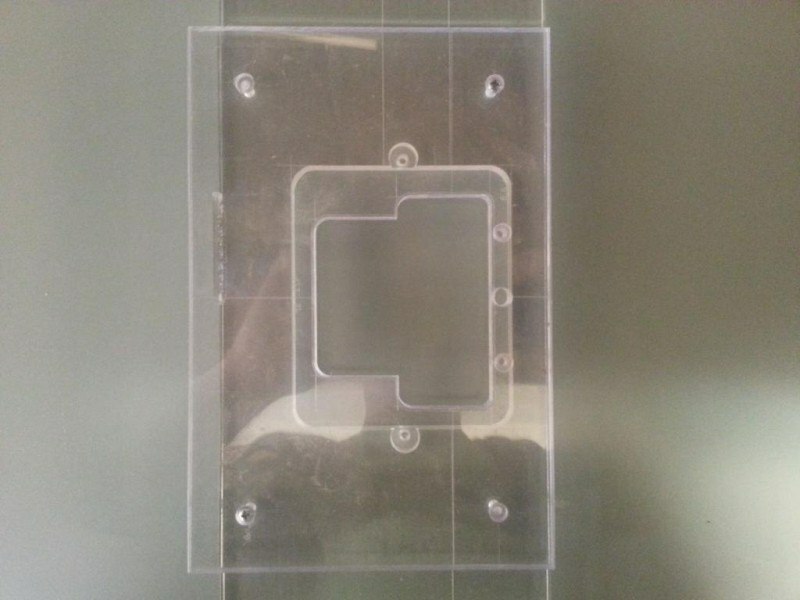 The centre of the plate has a 120mm x 100mm window which can accept a matching template insert. 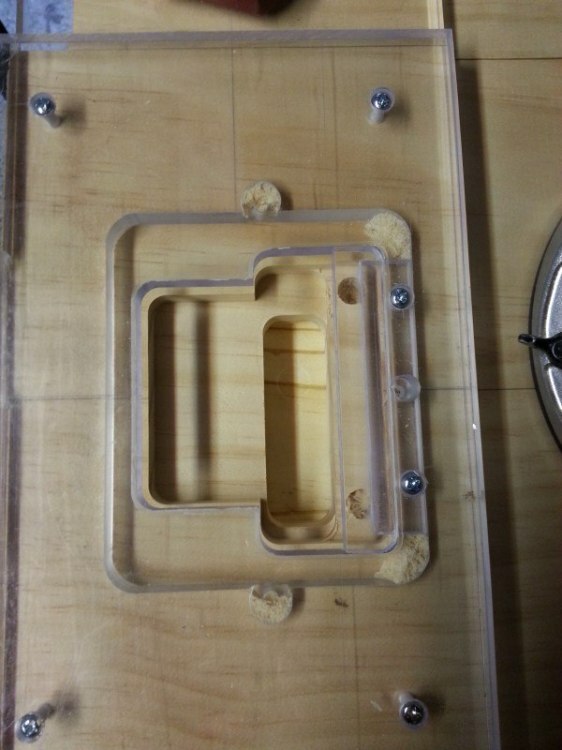 Near the perimeter of the plate are mounting holes for installing further templates which may be overlaid on top of the indexer to provide extra tool height for shallow cutting operations which would otherwise cause the router bearing to ride higher than the template. The templates used in this example have been created from clear Perspex, but MDF can also be used. 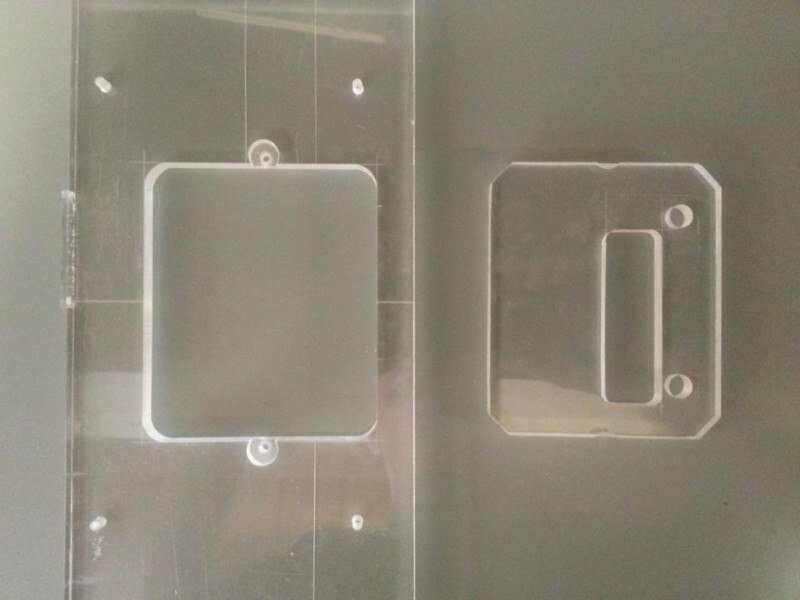 Perspex however has the advantage that it is possible to see through the template to help position it against reference guidelines drawn on the body to ensure perfect alignment. 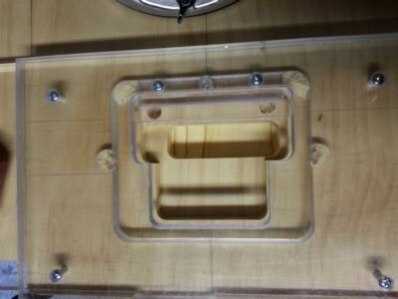 Sheet 2 shows the insert that is installed within the window of the indexer and contains the guides for drilling the tremolo post holes and the penetration for the trem sustain block. Sheet 3 details the overlay template that is attached on top of the indexer for routing the cavity for the bridge plate of the Floyd Rose. 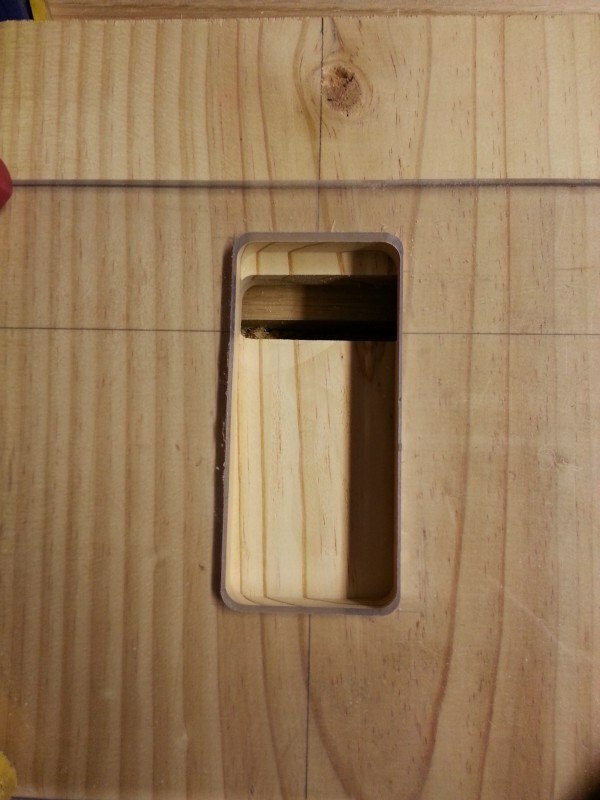 With the end stop shown on Sheet 4 fitted to the overlay template, the extra depth required for the fine tuners at the rear of the bridge can also be routed. Sheet 5 describes the template for routing the rear of the body for installing the springs. Begin with the indexer. After cutting the perimeter of the plate mark the centreline and intonation reference lines as shown on the diagram as squarely as possible. If using Perspex scribe these lines on the underside of the template. Having these lines under the template assists with lining up the location of the template on the guitar body. 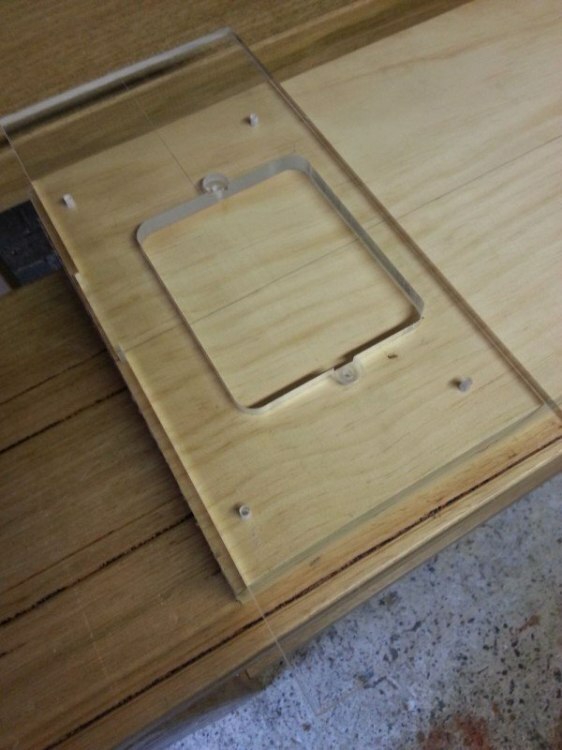 The window cut-out in the index plate can be created using a coping saw to rough out the cut, followed by a router guided by temporary fences to ensure straight, square edges. Note that the indexer can be as large as you like, so long as it remains easy to attach to your guitar. 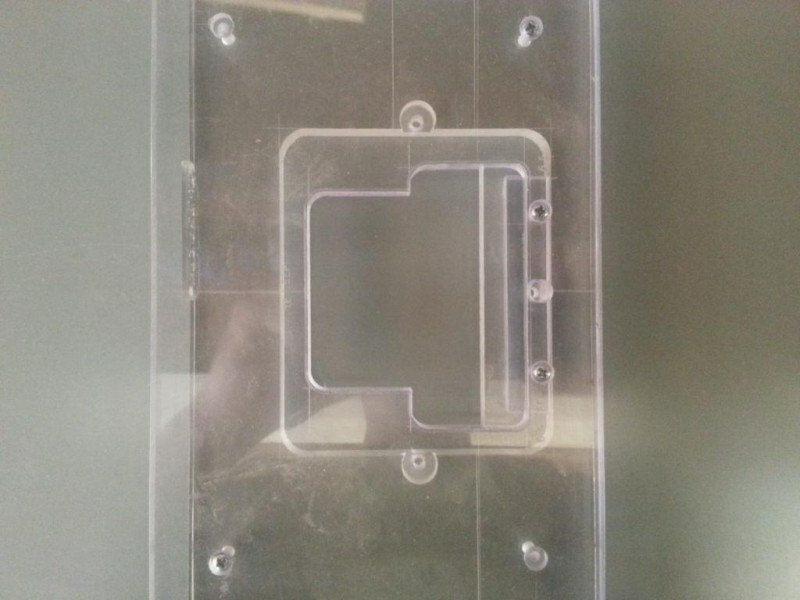 Cut and shape the outline of the insert plate and check the fit in the indexer window. 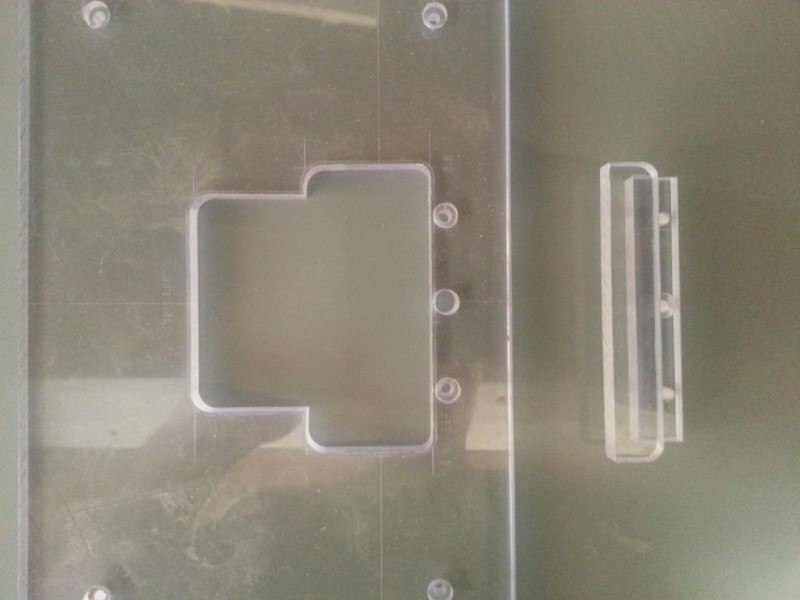 The insert plate needs to be a snug fit with no slop while remaining easily removable. With the insert fitted to the indexer mark the cut-outs and drill locations detailed on sheet 2. Performing the marking of the insert while fitted to the indexer ensures the locations of the cut-outs remain square and true relative to the centreline scribed on the indexer. 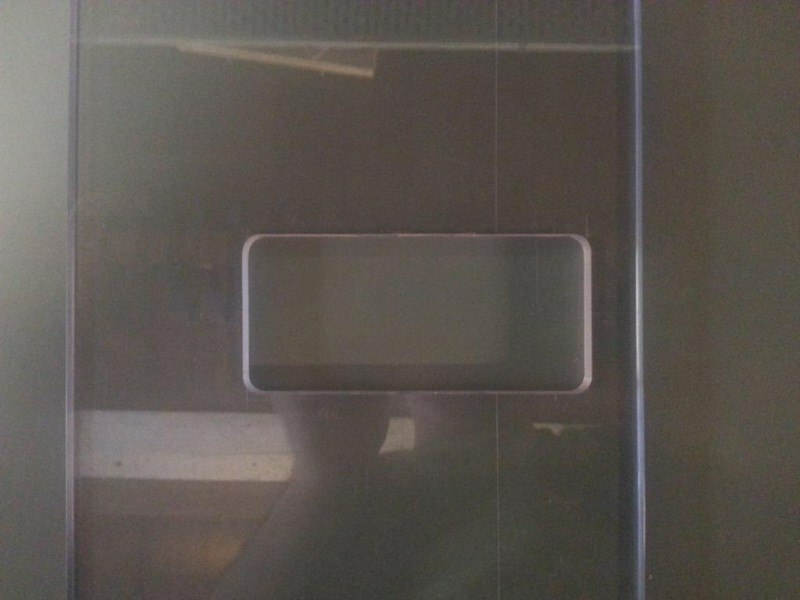 Remove the insert and complete the cut-outs as carefully as possible. Move on to the overlay template. Again, use the centreline on the indexer as a reference to aid in aligning the two when marking the locations of the cut-outs in the overlay template. With the templates constructed as shown in the plans the front edge of the overlay needs to be on the same alignment as the front edge of the indexer. If you chose to make the indexer wider ensure that you maintain the same horizontal positioning of the overlay template so that the resultant rout is at the correct location. 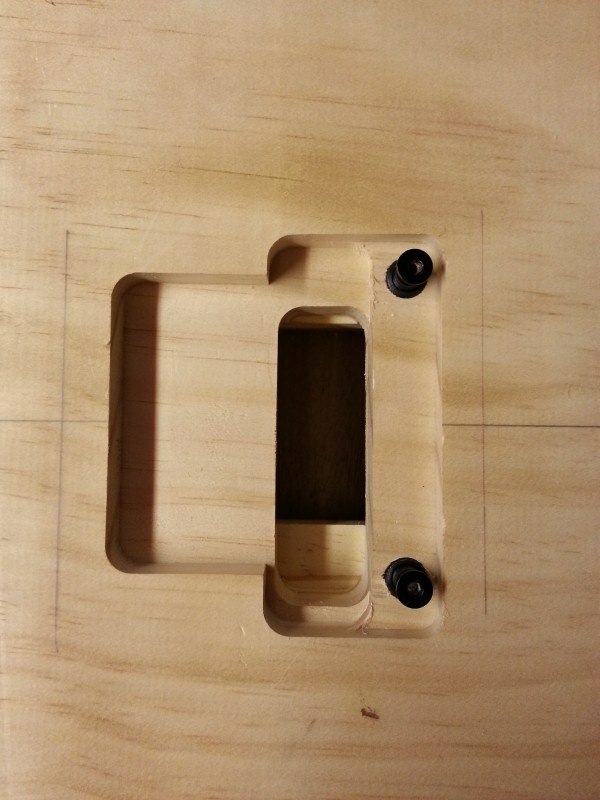 The four 4mm holes should be drilled while the two pates are clamped together so that they remain in perfect alignment. 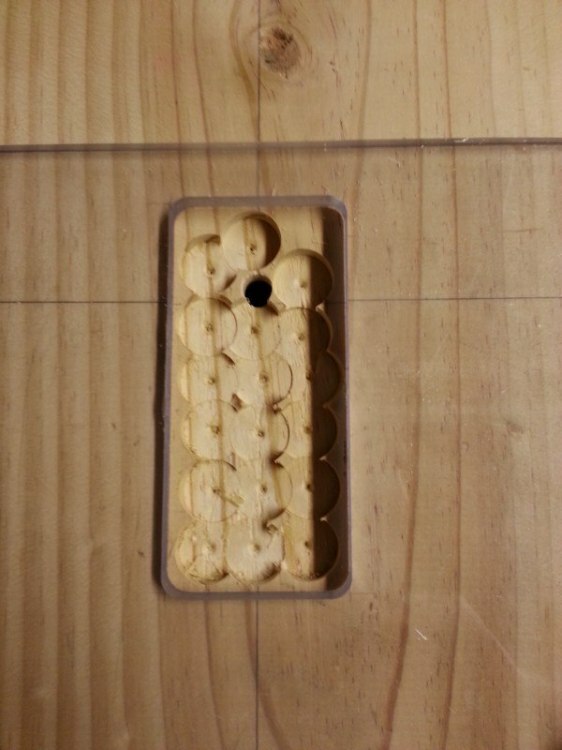 These holes are used to lock the two plates together while routing. 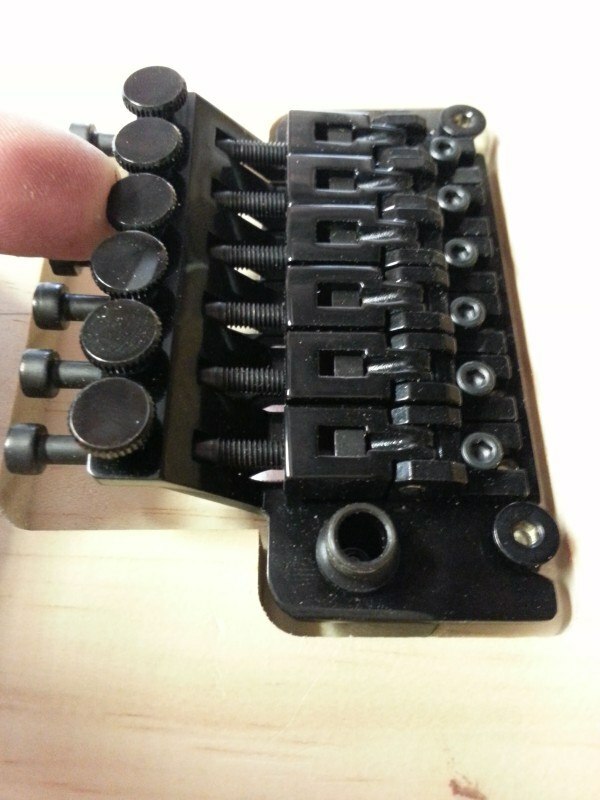 Removable pins or screws should be installed to align together them when routing provided that they do not protrude, and either damage the surface of the guitar body or hinder the movement of the router. The removable end stop can be constructed using two strips of material laminated together to make the required step profile. 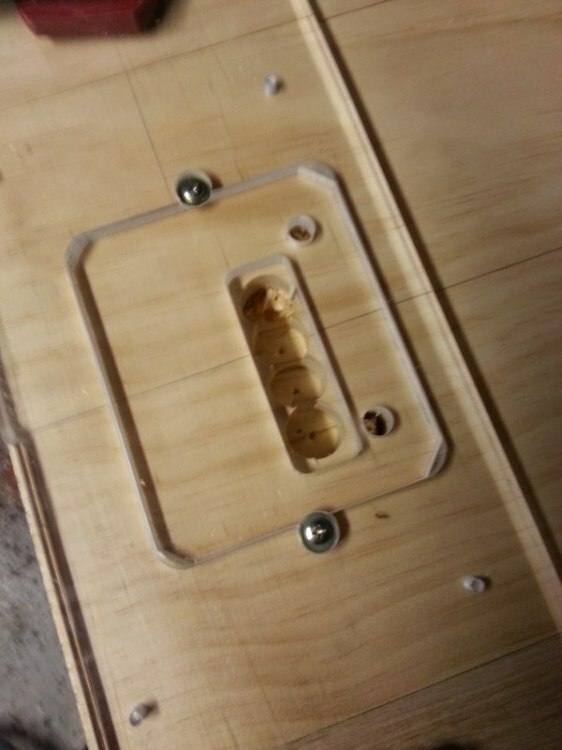 Two screw holes should be bored through the overlay template into the end stop to allow the two components to be secured together when performing the routing operation. The final template, the spring cavity rout can be created separately to the indexer. Mark or scribe the dashed line shown on the drawing as perpendicular as possible to the centreline. 1. At this stage you should have a guitar body ready to be routed to accept the Floyd Rose bridge. A centreline should be marked on the body along with an intonation reference line drawn at right angles across the full width of the body at your chosen scale length. In the following example a scrap piece of pine has been used to rout the bridge cavity. No intonation line has been marked, but your actual build will require this to ensure the Floyd Rose is installed at the correct distance from the nut. 2. Align the index plate with the centreline and intonation reference line drawn on the body and clamp it securely. Test-manoeuvre your router around the indexer to ensure your clamps do not interfere at the extremities of the window in the plate and adjust if required. 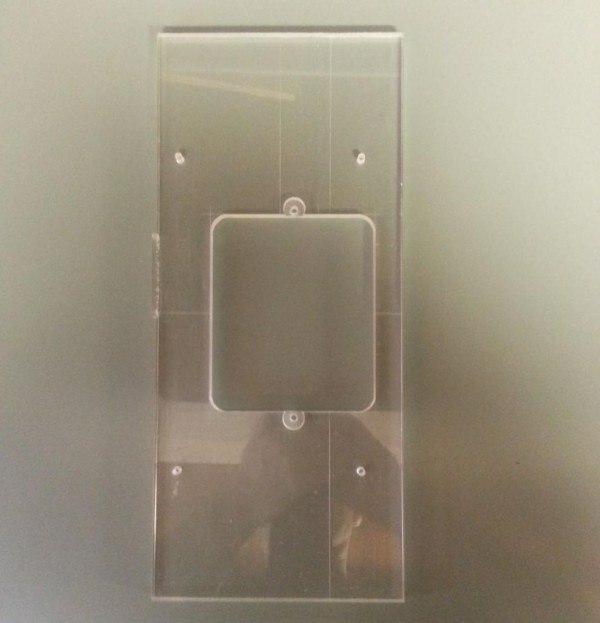 Alternatively you can use double-sided stick tape provided it is of good quality and doesn't allow too much lateral movement of the templates once adhered. 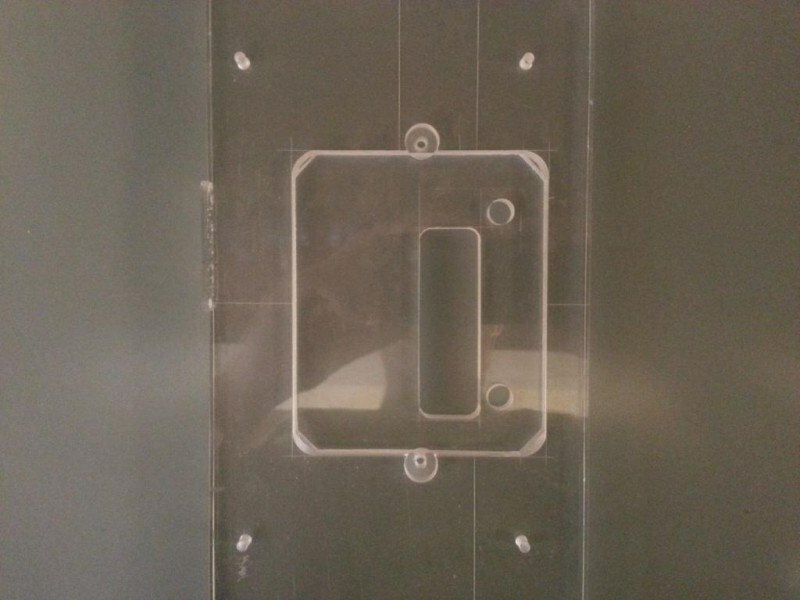 Fit the insert plate into the window and using the two 10mm template holes as a guide bore the trem post holes using a 10mm brad point bit to a depth of 10mm or so. The exact depth at this stage isn't critical. Were just establishing the location of the post holes to start with. 3. A Forstner bit can be used to remove some of the waste within the 24mm x 76mm cut-out of the insert template to a depth of approx. 25mm to minimise wear on the router bit. Using the 1/2 diameter, 32mm long inverted pattern bit rout this template to a depth of 29mm. 4. 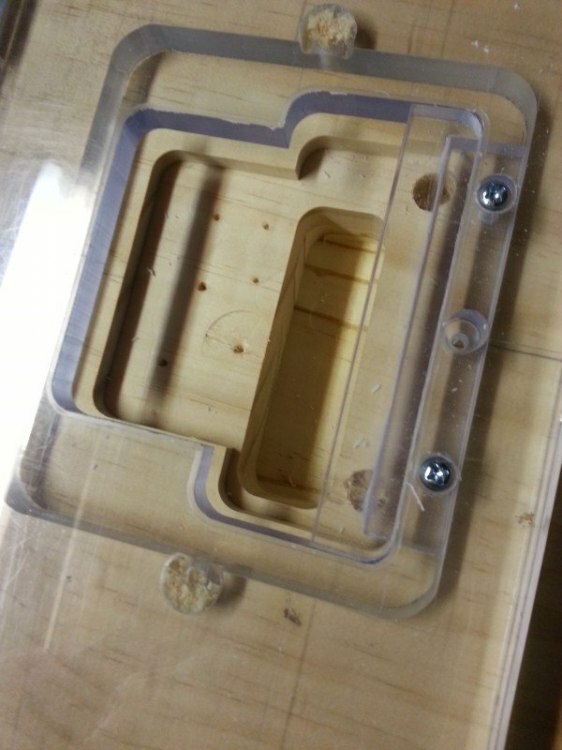 The insert plate can now be removed from the indexer and the overlay plate installed over the top. 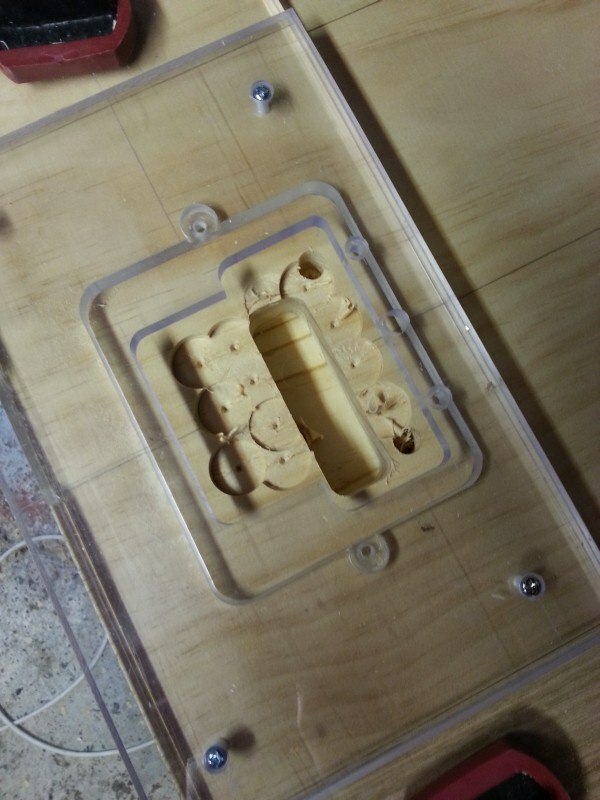 Again, use the Forstner bit to remove some of the waste to a depth of 5mm. 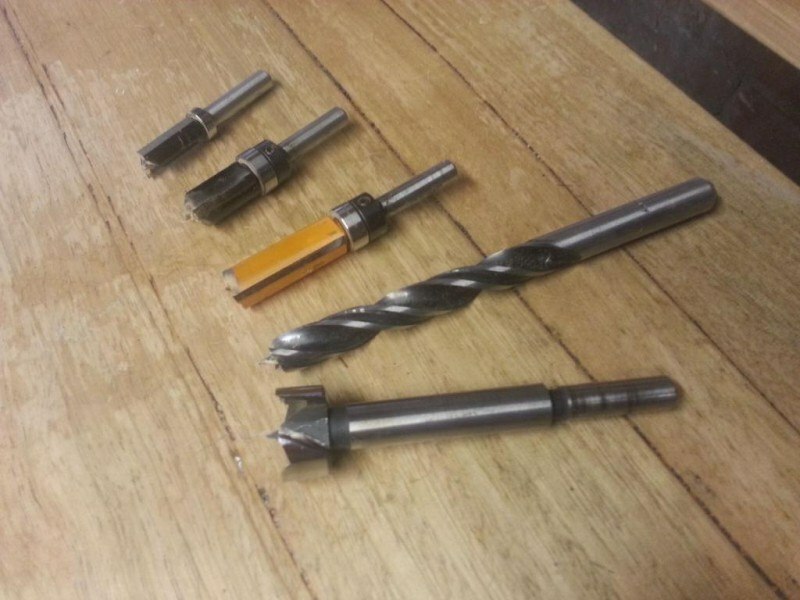 Use the 3/8 diameter, 19mm long inverted pattern bit and rout the whole area to a depth of 6mm. 5. Creating the rear well that allows the bridge to be pulled backwards when raising the trem arm requires routing a secondary depth at the back of the cavity of an additional 6mm. 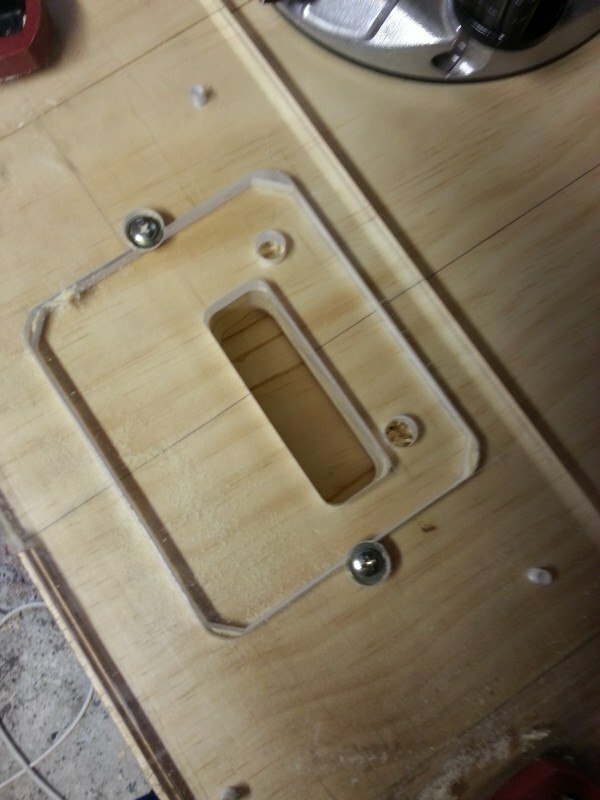 This is achieved by fitting the small stop bar to the overlay template that reduces the router lateral travel by 16mm. 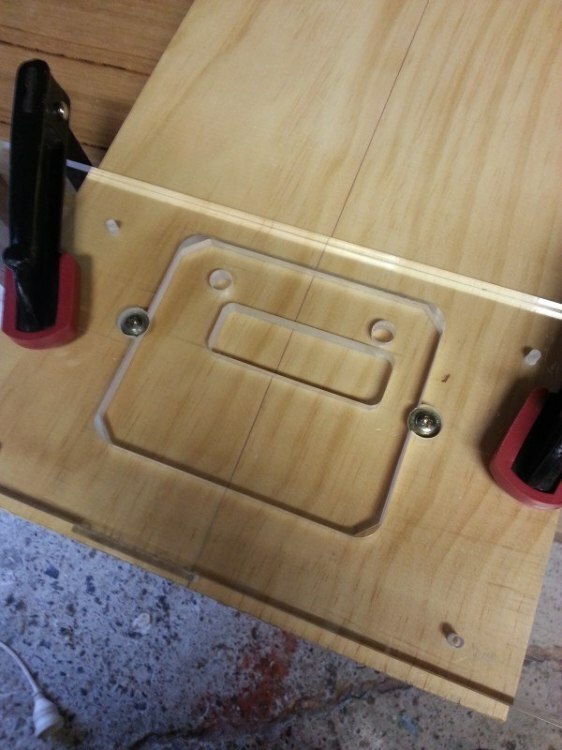 Run the router within the template to a depth of 12mm below the face of the guitar body. 6. The indexer and templates can now be removed from the body. Using a drill press bore all the way through the body down through the bottom of the sustain block rout. The exact location and size of this hole isn't critical, just as long as it is as close to the front edge of the rout as possible. Where the drill exits the body at the rear, mark a line perpendicular to the centre of the body that touches the tangent of this drill hole. 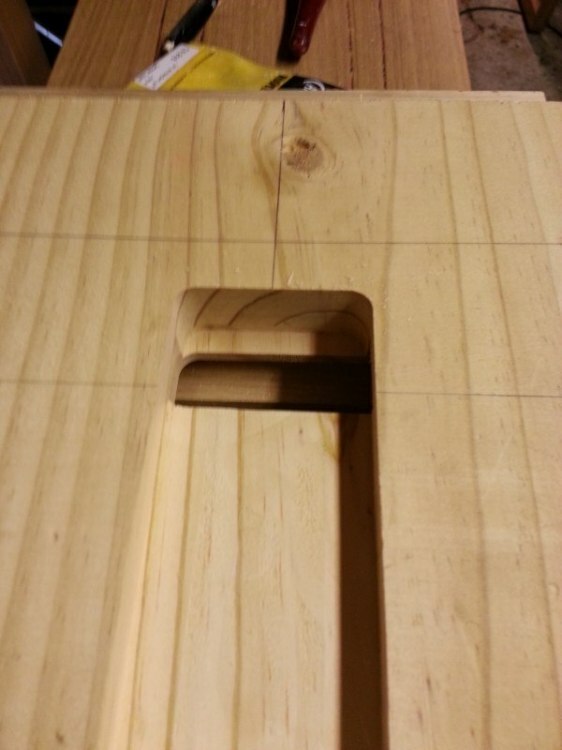 This line should now align with the front edge of the sustain block rout and is used for locating the final template for routing the spring cavity. 7. Fit and clamp the fourth template, aligning it with the centre and sustain bock reference lines on the back of the body. Assuming your body is a typical Strat thickness (45mm or so), rout this template to a depth of 16mm using the 1/2 diameter 19mm long inverted pattern bit. If your body is a different thickness this will change how deep this rout must be. The rout needs to be deep enough to allow clearance for the springs and sustain block, but not so deep that you risk punching through the underside of the pickup routs. Ideally this depth should be [thickness of body] - 29mm. 8. An additional depth to the rear edge of the spring cavity is required to allow clearance for the sustain block to swing backwards when the trem arm is depressed. This depth is again dependent on the thickness of your body but should be [thickness of body] - 15mm. For a typical Strat this will result in a cutting depth of 30mm. The resultant rout will leave a small 3mm ledge of timber that is visible when viewing back through the sustain block cavity. 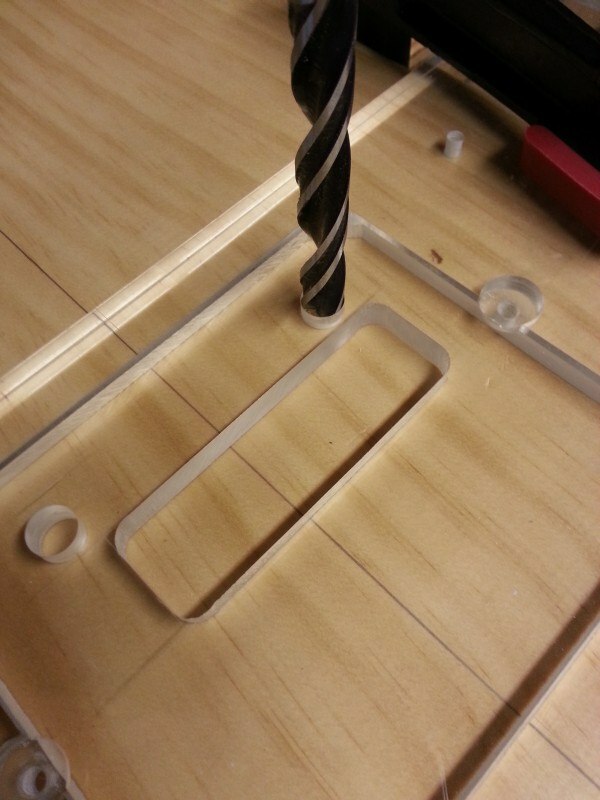 Use the 1/2 diameter, 32mm long inverted pattern bit to complete this cut. Take care not to run the bit into the forward edge of the sustain block rout. A temporary fence may be clamped to the work piece to prevent the router being accidentally moved into the front wall of the sustain block rout. 9. The last step is to bore the final depth of the trem bushing holes. Remove the last template and flip the body over. Measure the length of your trem bushings and set your drill press depth stop to this value. 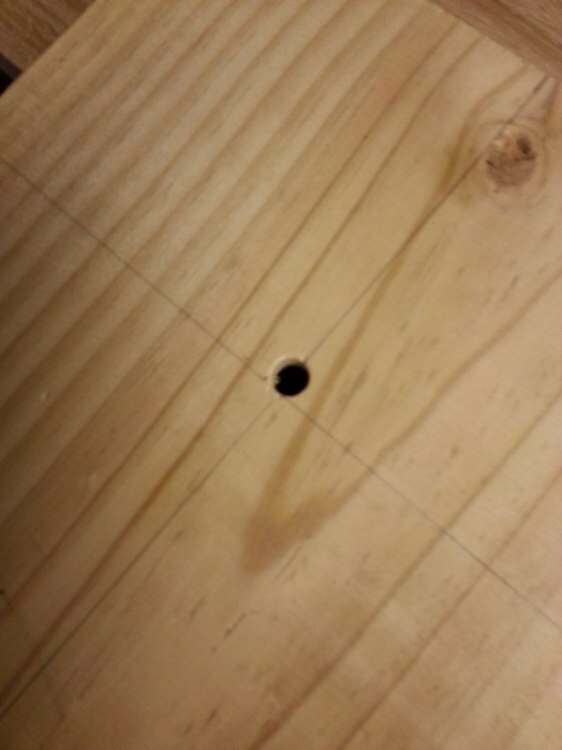 Using a 10mm brad point bit on the drill press bore down the two 10mm holes that were established in step 2. Once the holes have been drilled the bushings can be pressed into the guitar. They should go in with firm hand pressure. 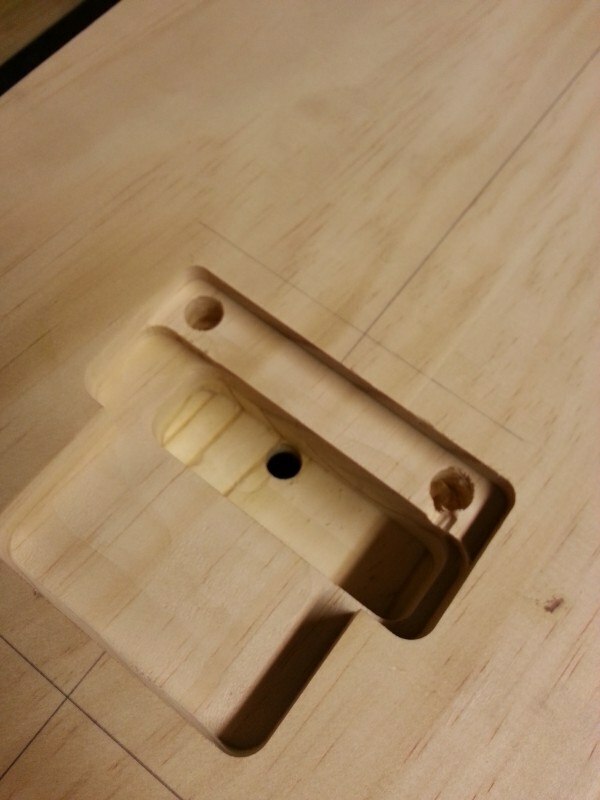 An alternate method is to use a drill press with a short piece of dowel in the chuck to press the bushings in. Be careful when applying pressure however, as the small amount of supporting wood behind the bushing holes is fragile and can be easily split if the bushings require excessive force to be pressed in. 10. Test fit the bridge and check to see if there is sufficient clearance to allow the bridge to swing up and down without binding on any of the routs. Because the routing templates can be removed from the master indexer the user has the ability to create other template inserts and overlays for different routing tasks. 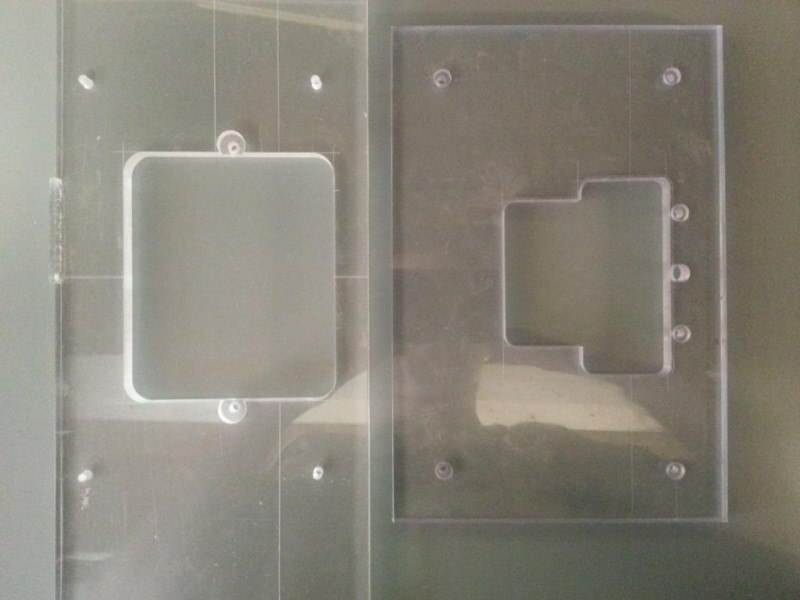 Any shape that can fit within the dimensions of the 120mm x 100mm window has the potential to be made into a template for repetitive or complex routing operations. Pickup cavities, battery box cavities, Kahler and Wilkinson tremolos are some examples. Recessed Floyd Rose Routing System by curtisa is licensed under a Creative Commons Attribution-NonCommercial-ShareAlike 4.0 International License.